Milgrain Outlined Round Diamond Engagement Ring | Shane Co. This diamond engagement ring features ten sparkling round diamonds, at approximately .43 carat total weight, set in quality 14 karat white gold. These hand-selected gems will serve as the perfect accents to the center diamond of your choice. 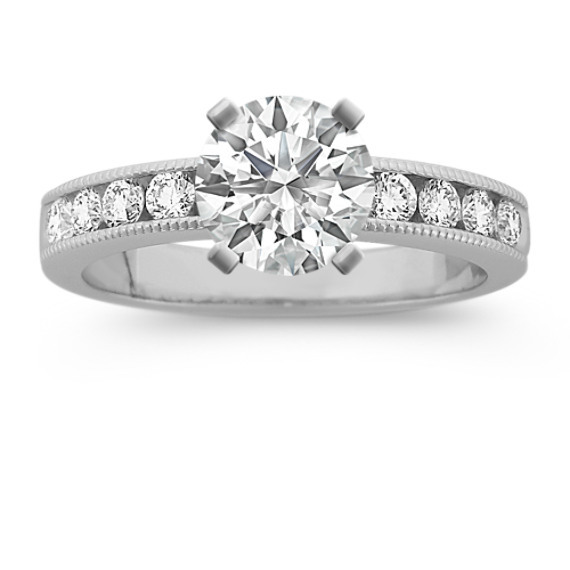 I like the timeless style and thickness of this ring. It also goes great with many different styles of wedding bands in case you want to mix and match.